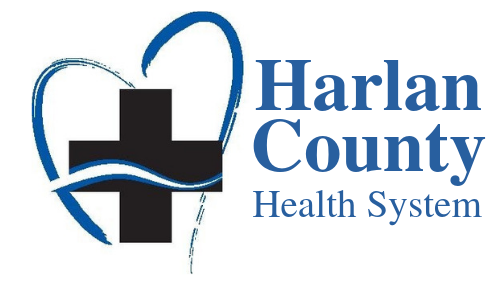 The Harlan County Health System Emergency Department is open for business 24 hours a day, every day of the year. 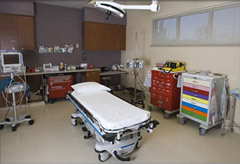 An advanced emergency room in addition to state-of-the-art technology like our CT scanner and telemedicine system allows us to handle most emergency illnesses and injuries right here in Harlan County. When the crisis is more severe, our patients have access to the AirCare helicopter which can take them in minutes to a comprehensive Level II Trauma Center at Good Samaritan Hospital in Kearney. Emergency personnel also have access to an advanced teletrauma system providing a real-time video hookup to emergency specialists at a major hospital. Emergency ground transportation for HCHS is provided by a licensed ambulance firm and trained and experienced emergency medical technicians. At the hospital, an enclosed emergency bay protects fragile emergency patients from the weather. Staffed by medical professionals experienced in emergency care, patients at HCHS can expect competent, caring help during medical emergencies.